That might be something to try. My only question would be (I know they are a bit pliable) but would that bending damage them? Although I do like the scrub look the dead fronds have, I'd hate to cause more damage if I was just going to throw a big pot over the whole thing on the coldest nights. As far as the winter precipitation events, that likely won't have any effect on my aloifolia as it is deep under the house eave, and gets no moisture unless I supply it. So it's normally pretty dry in that area. So I think it will be OK. It rarely gets below 10 F here, and even when it does, it's only a matter of hours. Last Feb of course was one for the record books. 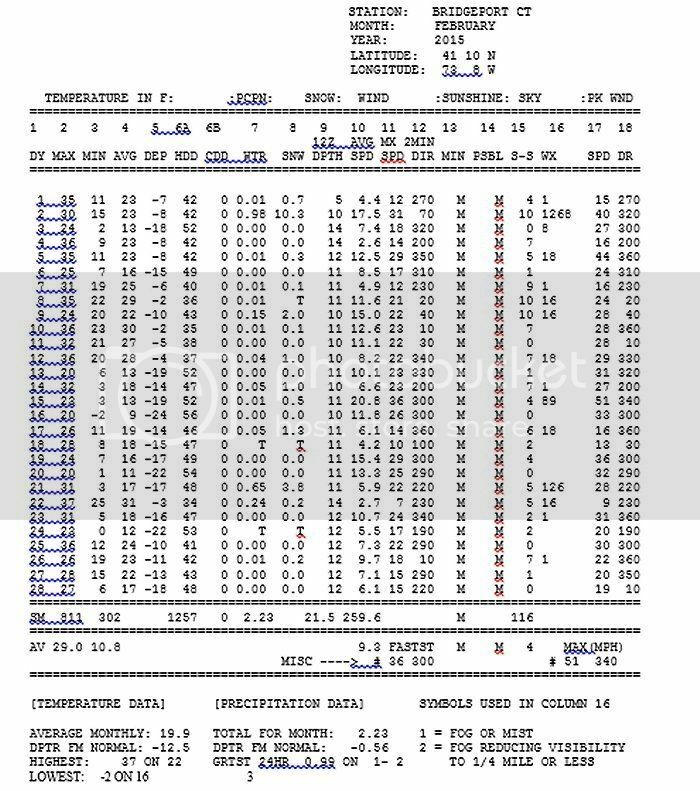 NWS Bridgeport and NWS Atlantic City both had record cold months (coldest in Bridgeport ever record)...but the number of days of 5 F or below were similar (8 for Bridgeport and 5 for Atlantic City)....as was the number of lows below zero (2 in Atlantic City and 1 for Bridgeport). 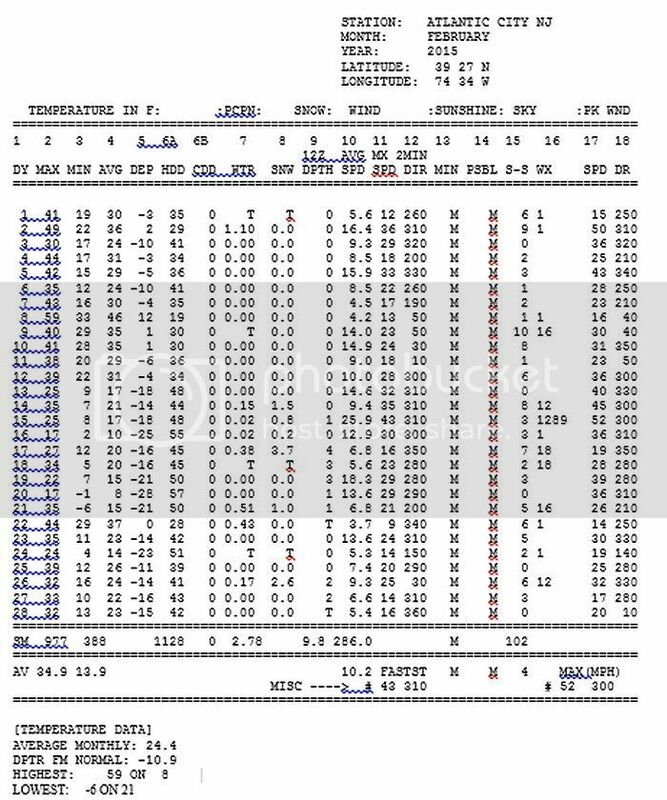 Atlantic City actually fell further below zero than Bridgeport. I'm sure there are some small differences, but overall I don't think it amounts to a great deal. Keep in mind (it can be deceiving)...but southern coastal NJ and coastal CT are not that far apart (look at the latitude on the station charts). They are only separated by 110 miles or so.